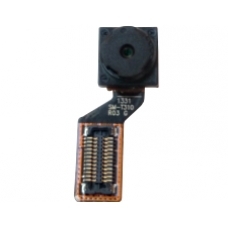 This is the replacement camera found in the front of the Samsung Galaxy Tab 3 8.0. If you find that your Galaxy Tab 3 8.0 camera is in need of repair, replacing with this part should restore the front Galaxy Tab 3 camera to full working order. This part requires no soldering to fit, the Galaxy Tab 3 8.0 inch camera is connected via a push fit connector. Please note: This part is for the front camera on the Galaxy Tab 3 8.0 not the rear. * Includes Connecting Ribbon and Plug.